Return to the West. Entering Pō. Every Journey Into Darkness is a return to greater awareness of self. Human existence is a profoundly existential experience; every human being is burdened, or gifted – depending on how you look at it – with a deeper sense of awareness of self. However, full consciousness is not handed to us. In our lifetime, we must seek it out. We must journey into the unknown, the uncharted territory, the shadow realm, and bring back with us our own awakening. How does one do this? How do we know about that which is unknown? How can we embark on a journey in finding and obtaining our fullest potential? The answer, or rather the reward, is found only within the journey itself. Yet, as creatures who are but merely the latest continuation of the unraveling story of life, we may find guidance in all that came before us. These clues have been observed from people to people, generation to generation, preserved in stories which have been remembered through their cues from the environment that surrounds us: Earth, and the greater cosmos. I cannot deny my own acute awareness of a deep void that rests beyond my horizons. Its gravitational pull is strong, pulling me towards its edge. I both fear it immensely and desire it tremendously. I fear it because it is unknown: as we all are naturally programmed in our genetic instinctual self-preservation to remain in a state of safety. But I desire it because I feel so contained and limited within this bubble of safety. What does it mean when your soul calls for you to expand, to risk everything? I don’t have many answers, but I have found that when I respond to this calling, my perceived experience fills with meaning and purpose. Destiny comes forth and leads me on. Passion is ignited and lights my way. I am about to return to a very special place. Its name is Hōlanikū. It is both a place on this Earth and a place in our psyche. I am returning here for work, both practical and spiritual. This place is an Atoll which is part of the largest protected preserve in the world, the Papahānaumokuākea Marine National Monument, and it rests at 28.3925° N, 178.2936° W. It also rests in the realm of Pō. As the Atoll exists much further north and west of the main Hawaiian islands, it also then exists within the realm of darkness: the subconscious; the source. It exists beyond the horizon, in the West where the sun sets, and in the North. These are places within us and without us where life came from and life returns to. It is where our ancestors rest. It is the home of our kūpuna. Mai nā kūpuna mai. Mahalo nui for your interest in my story! 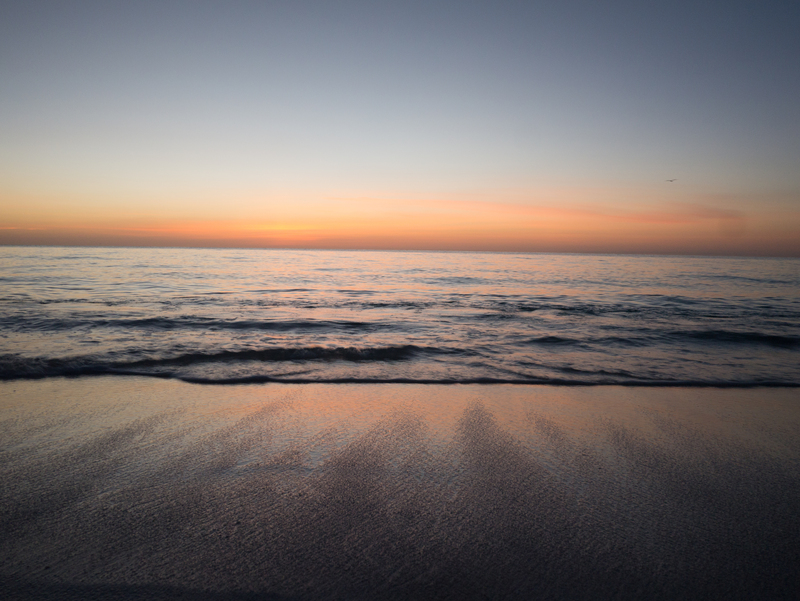 Ocean people experience the sun setting into the ocean, and symbolically this imagery is instilled with cosmological meaning of waters as a void in which the day disappears into, only to be birthed again and again. The ocean consumes the light, revealing the cosmos, but it also births the light. This motion and pattern and rhythm plays out its cyclical drama of death and renewal without fail that it becomes dependent upon, worshipped, mesmerized into the working memory and security of the mind. Meaning impressed within which then is externalized as knowledge that guides the forces of behavior of all conscious activity. The psyche internalizes experience as symbols: sensory input encoded with meaning. As creatures of nature, we live out our felt experience, never fully able to separate our subjective sense from an objective reality. Our perception is based in interactions which have enfolded countless times, immemorially, patterns of survival dictating our behavior. The subjective experience is one in which everything is an action, a process, constantly moving and changing, responding and reacting. And so consciousness is less so born from awareness of self, rather it is the self, or the mind, making room for consciousness to be heard through our self experiencing. Is it the emptiness of space, the quietness, the setting of the sun, the ending of a day, in which consciousness collects in fullness, like the universe, waiting to be realized beyond the veil of light? There are geographical places that are embedded within our psyche - places in which we experienced something profound, traumatic, or any other life altering instance. To return to these places is to also return to a inner world of change; to keep kindled the entirety of life experience and to honor the wholeness of being. Keauhou, HI is such a place for me I recently revisited. What is such a place in your life you revisited recently? Understanding how to resolve conflict requires understanding human nature, which is not easy to do, it turns out. The reason for the mystery of our nature has to do with the simple yet profound capability of all humans: we can speak truth, and we can speak a lie. Within the spectrum of these two opposing yet attracting forces exists the human imagination. It is the human imagination that allows us to resolve the very real conflicts that inflict our friends, family, our people, our world. Ourself. It’s the force which bends and distorts reality, but can also bend it back into place. Every culture has developed its own practice of how to resolve conflict. These practices stand at the heart of any community. They put the unity in community. For it is these practices that create the metaphysical space in which its “matter” is made up of protocol for addressing the conflict at hand. Being creatures that operate on an abstracted level of reality (symbolic: the internalization of experiences abstracted into conscious thought), we have taken this ability of creating metaphysical spaces a step further; projecting it back out onto our shared reality that we collectively agree upon will direct our behavior. This is called ceremony, and is often needed in addressing conflict so that every voice is heard, all the way through, instead of a primal urge to react through fight, freeze, or flight. Whether this is conflict inside of you or all around you. Structures like these ceremonial spaces are necessary for humans to exist harmoniously. We should not mistaken order for tyranny. We should not confuse hierarchy with oppression. Children thrive in environments that provide the structure necessary for freedom of thought, which is essential for the development of a healthy individual and consequently the sustainability of any society. Human nature is built upon the organization we see through the chaos of the universe. We harness it, possess it, tweak it, and enact it so that it may be learned by those born into the world new and unknowing. This is the role of every Educator, every teacher. You do not command the learner, only the space. Curiosity: an Antidote to Fear. How Will You Go Forth in this World?